Forgive me father for I have sinned: I slept on Wold for way too long and won't be coming to confession any more. The Saskatchewan Black Metal outsiders have been alchemising an incredible and unique form of blown-out, polarising and blackened noise since 2000 but only recently showed up on our radar thanks to a reissue of their most recent album 'Freemasonry' (2011) on Stephen O'Malley's Ideologic Organ. It's safe to say that we're now utterly under their spell, and, following a few nights with the lights off ingesting their output we've got hold of some proper stock from the legendary Profound Lore. 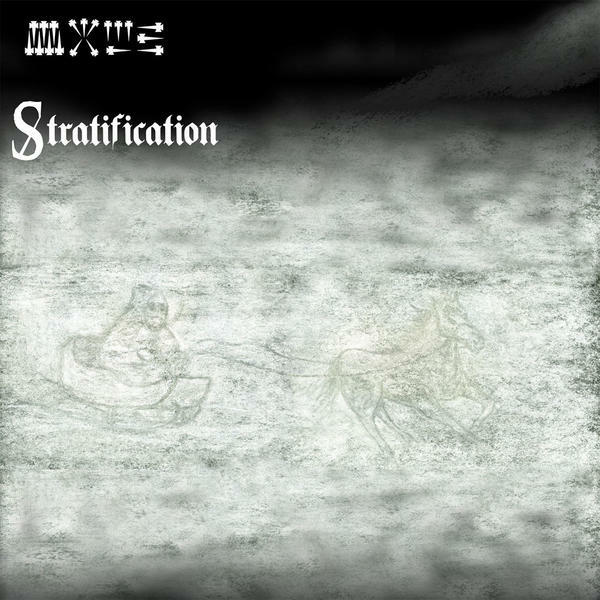 'Stratification' is their petrifying 2008 release, entirely recorded, produced and mastered by Fortress Crookedjaw and Obey in their remote Canadian prairie region; a cyclonic 50 minutes of steam-pumped machine effluence and roiling noise attrition that even the most charred metal ears may find abusive. But in the finest sense of this extreme genre, the effect is somehow conversely cathartic; a blood-letting of the soul delivered with such integrity and lack of compromise that the effect is astonishing, if you're open to such things. Now, i'm far from calling myself a Black Metal expert - novice or dilettante may be more fitting - but there's a density and psychoactive quality to their distortion which resonates clearly with Merzbow and their penchant for blistered, pummelling drum machine rhythms even strongly recall his recent 'Grand Owl Collage', especially on 'Wintertime' and the cacophonous pelt of 'White Winter Wanderer', whilst the black-iced blast beats jabs of 'The Frozen Field' would make for perfect pig-carcass punching sessions in your shed when the radio breaks down and you're snowed in, 500 miles from civilisation. Then of course, there's the vocals and those heart-rupturing melodies that run right under the whole thing… F**king massive recommendation.